A recent Wall Street Journal article reported that, facing increasing health care costs and higher insurance company premiums, Americans are patronizing more affordable and convenient retail clinics. 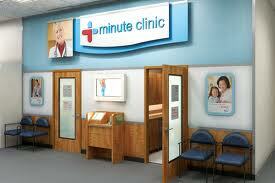 At the same time, Drug Store News disclosed a 36% rise in visits to MinuteClinics last year. The first CVS owned MinuteClinic opened in the Twin Cities in 2000 and now number 560 units in 25 states. Service is on a walk-in, non-appointment basis, and is administered by family nurse practitioners and physician assistants. The staff is trained to diagnose and treat common illnesses, minor injuries, and skin conditions deliver health screenings and vaccinations. Retailers such as Target, Walmart, and ShopKo have joined the express-clinic trend with in-store facilities. 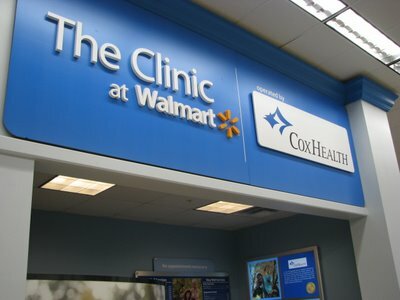 Walmart has gone the route of partnering with local hospitals and leasing out space to medical clinic companies such as Saltanic, which has doctors on staff and offers a wider range of services including x-rays. Target has taken a slower, more experimental approach after closing the MinuteClinics it had opened in a limited number of stores. This year, the Minneapolis-based retailer undertook the greatest expansion in in-store clinics since 2007, opening eight new Target Clinics – five in Chicago and three in Palm Beach, FL. 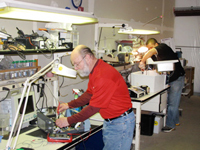 Previously the company had operated 28 clinics in just two states: Minnesota and Maryland. Many in the American health care industry worry that offering medicine on a retail basis will result in the commoditization of health care. However, the upside may be worth the risk. The reality is that increasing competition by adding another channel of distribution may provide convenience and access to more people. And that is what is currently missing from health care delivery in America, namely the typical convenience of other services that are subject to free-market forces. Abbott Baxter Infus O.R IV infusion pump (pre-owned) Call Us at 800-522-5909, ext. 104 for a price quote. Modify dose without multiple reprogramming steps; adjust settings easily at any time during infusion; change dial settings with a single hand for an immediate response; save calculation time; minimize risk of calculation error. Read more. Abbott Baxter Plum 6200 IV infusion pump (pre-owned) Call Us at 800-522-5909, ext. 104 for a price quote. Baxter 6200 infusion pumps are capable of delivering a wide variety of fluids, including blood, over a broad range of infusion rates. The 6200s are easy to load, spill resistant pumping mechanisms with occlusion sensors that detect both upstream and downstream restrictions. Read more. Alaris Asena Tiva IV infusion pump (pre-owned) Call Us at 800-522-5909, ext. 104 for a price quote. Infusion rates 0.1-1200ml/h; medical device interface (MDI); pole clamp; real-time clock; syringe sizes 5, 10, 20, 30 & 50ml; event log. Read more.